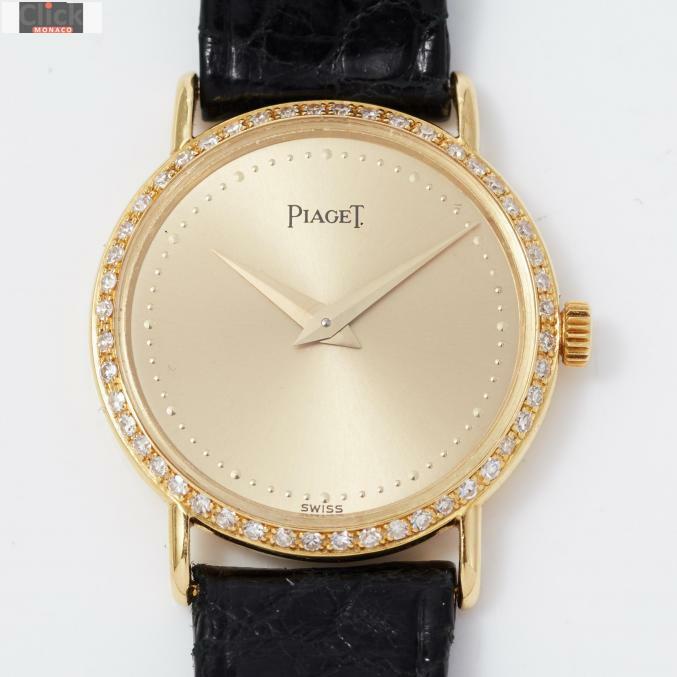 On sale beautiful Piaget women's wristwatch, in 18kt yellow gold, ref. 8057, completely original, of collecting interest. 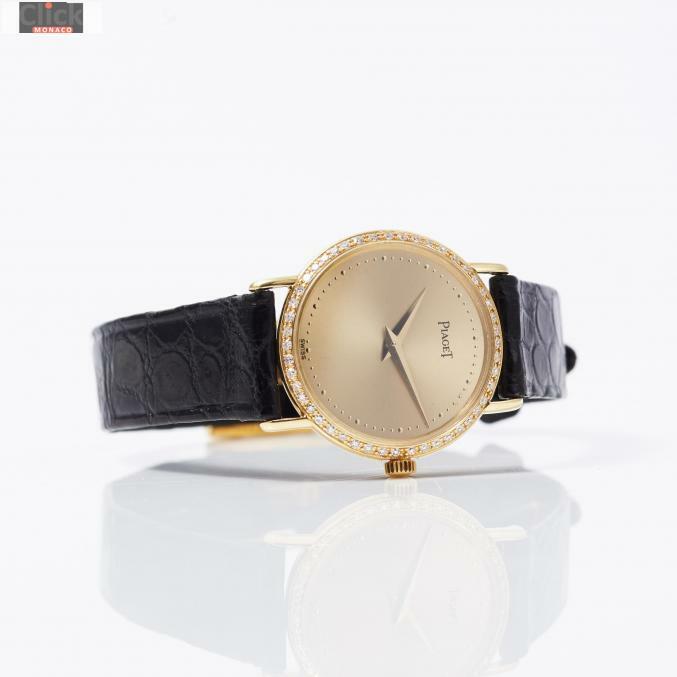 Dial: Original, with Piaget logo and swiss logo, surrounded by 50 brilliant cut natural diamonds. 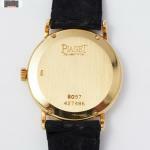 Case: Original, signed Piaget in 18kt yellow gold, no. 427496. Signature case, dial and movement. Bracelet: Natural leather, original Piaget, signed. Buckle: 18kt gold original signed Piaget. The watch is in perfect condition, fully functional, just like in the picture. The bracelet is also in superb condition. PACKAGE OF SALE: It will be shipped carefully packed, insured and express courier. FURTHER INFORMATION: The watch is exactly like in the picture, for any further information, I remain available. On request I can provide further photographs and videos of the operation. INSTAGRAM: Follow me on my official instagram page: @luxurygemstone, you will find detailed photos and videos of the watches in my collection.